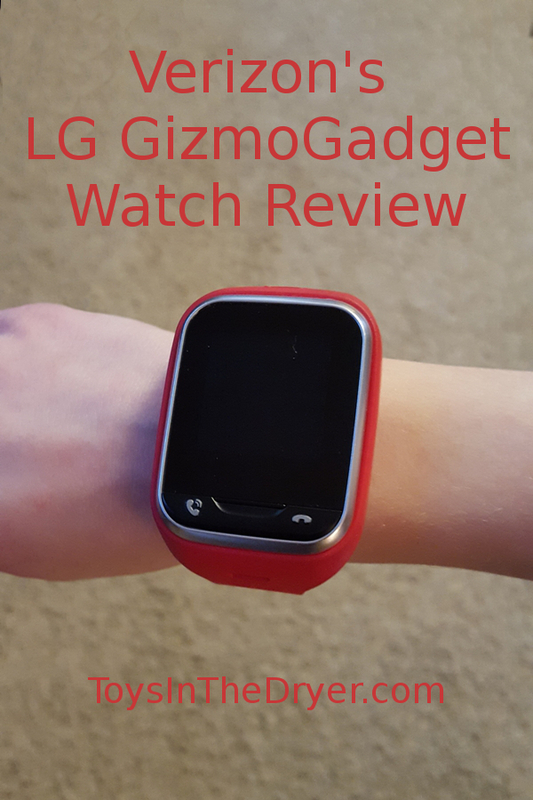 Last month during my post about the Verizon Wireless Tech Bytes Lunch, I mentioned that Verizon loaned my family a LG GizmoGadget Watch to review for a month. Our month ended a few days ago and this weekend we’re off to the store to buy one to keep! I honestly can’t imagine life without it now. 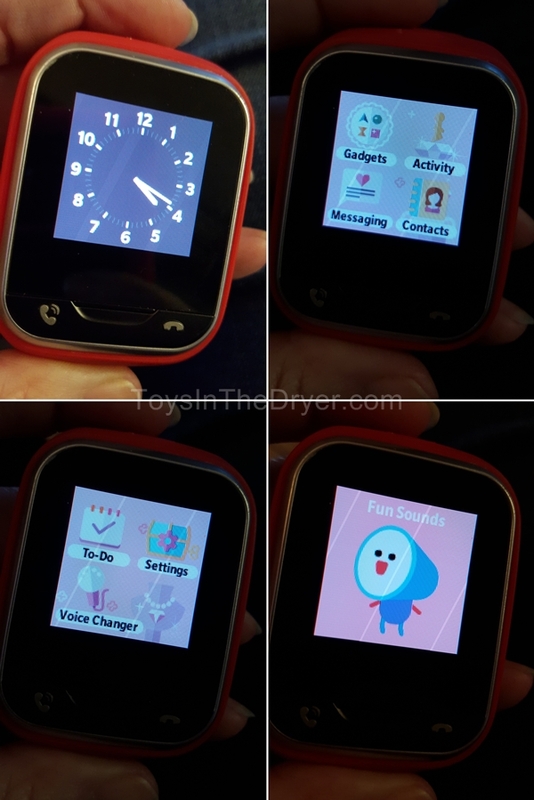 The LG GizmoGadget Watch is all the benefits of giving your child a phone without the distractions of a phone, the cost of a phone, or the risk of losing a phone. It’s got calling, texting, a GPS locator, an activity/step counter, a to-do list, a voice changer, and some funny sounds. Everything you need, nothing you don’t. It’s exactly what I had in mind when I wanted something that I could use to communicate with my girls. I can’t begin to tell you how handy the GizmoGadget is for communicating after school plans with the girls. Before we got the watch I would have to call the class room and disrupt the entire class in order to pass messages on to the girls. Now, I simply text them! I know the watch it is going to be even more useful this summer when the girls are out riding their bikes. I can keep tabs on where they are and text/call them when I need them to come home. It’s a watch that is worn on their wrist so I don’t have to worry about a phone being left somewhere or falling out of someone’s pocket. It’s waterproof too so I don’t have to worry about swimming or sprinklers. 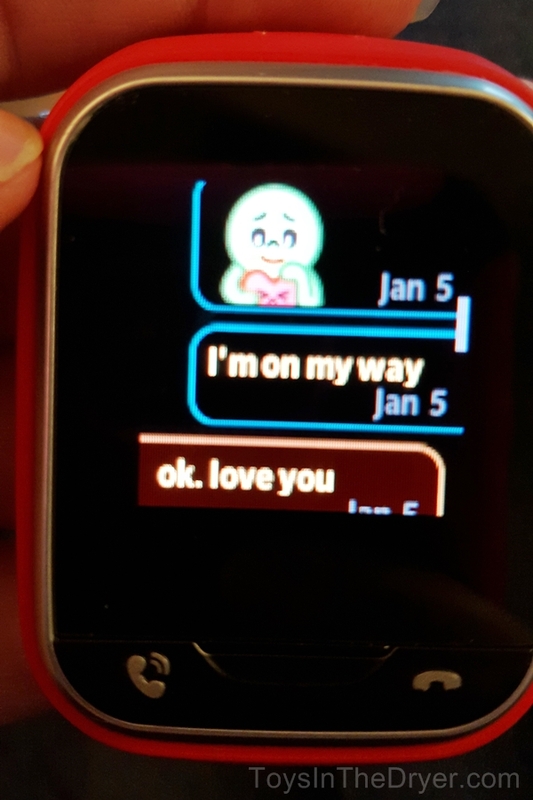 The LG GizmoGadget Watch also gives Nutty (and me) a little extra confidence as she’s learning to stay home by herself for short periods of time. It’s one more (easy) way to get in touch with me, her dad, or other contacts. Both the watch and the caregiver phone app are super user friendly. Notifications from the app when the GizmoGadget is shut off, turned on, or low battery were helpful as sometimes my girls forgot to check the watch before putting it on. 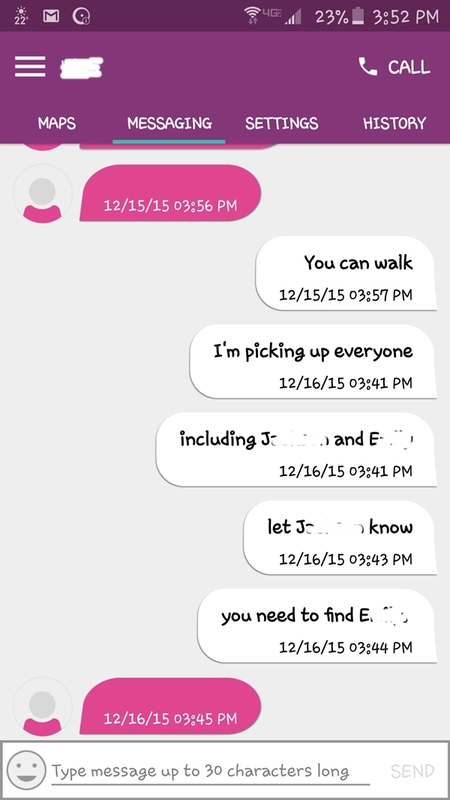 One complaint I have though is that caregivers can only text 30 characters at a time. Sometimes I just wanted to write a longer text. The kids can only (word) text the quick messages but if they want to say something different or longer, they can send a voice text. My girls used the voice text quite often (though Tottie had a little too much fun with the emojis). Safety is huge with the GizmoGadget. Only people in the approved list of contacts can call or text the watch. Caregivers are the only people that can change the contact list. The parent/caregiver controls everything on the watch from the GizmoHub app. The app also lets you know when your child changes anything on the watch such as ringtone or volume. You can set the watch to auto answer the phone after after 10 rings so that you can hear what’s going on if your child doesn’t answer. With no web access you don’t have to worry about internet safety and no camera means less worry about ridiculous photos floating around. Nothing on the GizmoGadget says your child’s name as an added safety feature. Read some reviews on the LG GizmoGadget Watch online and you’ll see people complaining about labeling the contacts (you can’t use names, only labels such as Grandma/Sister). Verizon listened to feedback and now you can name your contacts! Thanks Verizon! My constructive criticism…I’m not sure if the GizmoGadget vibrates when you receive a call or text. Tottie said it did, Nutty said it didn’t. Either way, if it does, the vibration wasn’t strong enough. Sometimes the girls couldn’t hear the watch (at recess or when they had their headphones on). It would be nice if the watch gave a nice vibration for incoming messages/calls. The watch is a bit bulky especially on Tottie’s wrist. She complained at times but Nutty said it was ok. It really depends on your child’s wrist size. 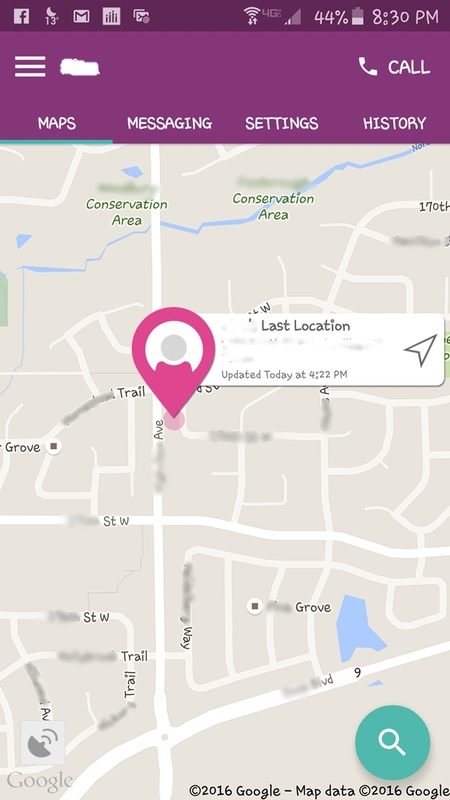 The GPS location is extremely accurate but can be a bit slow to locate at times. Not a huge negative in our book. The LG GizmoGadget Watch retails for $150. You’ll need to pay $5 per month for service if you are a Verizon customer. Rates may be higher if you use another wireless carrier. The watch works anywhere you can connect to a wireless network no WiFi needed. $150 upfront and $5/month? WAY cheaper than a smart phone and added phone line! I really have nothing but praise for the GizmoGadget. It is so practical. In fact, I sung it’s praises so much that Nutty’s best friend got one too! Her mom gave me a huge “thank you!” for introducing it to her. The girls can’t wait for us to get our watch this weekend so they can connect them together. Go ahead, visit Verizon’s website and check out the LG GizmoGadget watch. Then go ahead and buy one for your kids. You won’t regret it!